Calling all children! 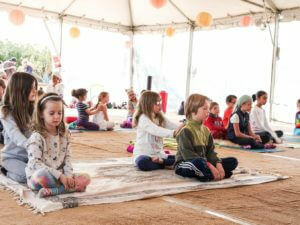 Sat Nam Fest invites children to bring their families with them to Sat Nam Fest Malibu Canyon. 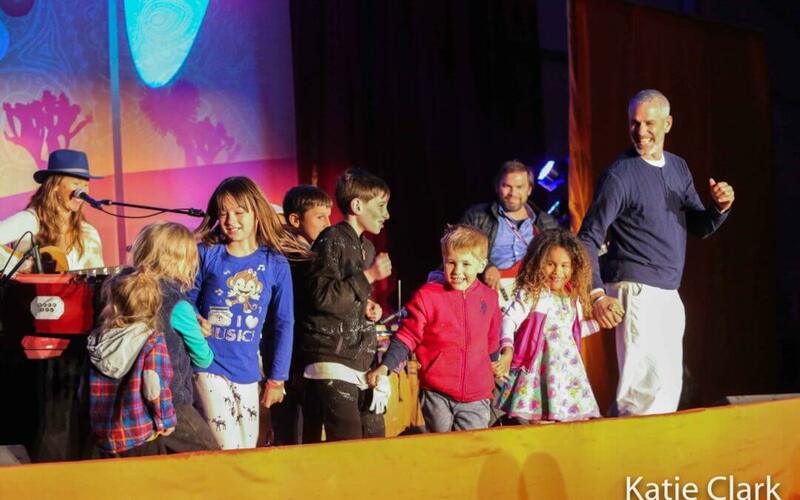 Children, feel free to wear your favorite cozy, your brilliant smile and come to this festival just as you are to celebrate the unique song that is inside you. At Sat Nam Fest, your spirit can fly free as a bird. You can play and explore as you please. Drop your parents off at yoga class, and don’t worry about them. They will relax. 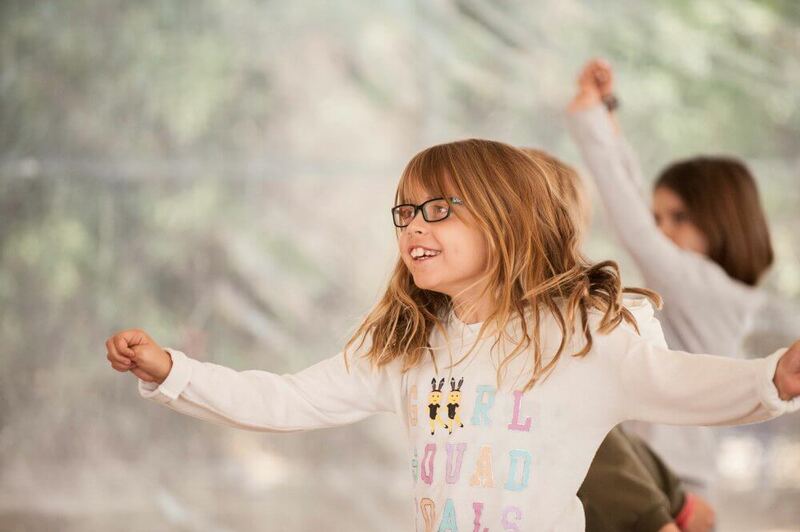 Meanwhile, you will be making new friends, singing, dancing and of course doing YOGA at Children’s Camp! Hurray! This is a big secret, so if you are reading this, please do not tell any grown-ups! Ready? Okay, big secret is this: children are magicians at Sat Nam Fest. N ot a Harry Potter kind of magician exactly, but a “vibrate the cosmos” magician. It’s impossible to use words to describe what a “vibrate the cosmos” magician does; so, you want to come to Sat Nam Fest to try it and find out how it works. If anyone has ever described Sat Nam Fest as a joyful gathering, really it is because of that special magic the children create together at the festival. Sat Nam Fest is a true spiritual family that holds space for giving children the love, support, nurturing, and respect that children deserve. Families continue to bring children to Sat Nam Fest because they know the children feel empowered to sing, dance, and just be themselves. Children are capable of so much more than we give them credit for. 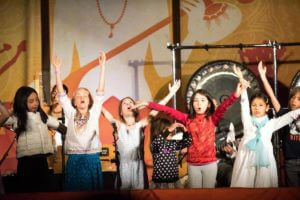 At Sat Nam Fest, children’s capabilities are not only nourished, but they are celebrated. Anyone who is sensitive, empathic, intuitive, will feel it on the level of the soul—children at Sat Nam Fest hold space for everyone at the festival. It is a space of living joyfully in the moment and penetrating the moment with easy laughter. 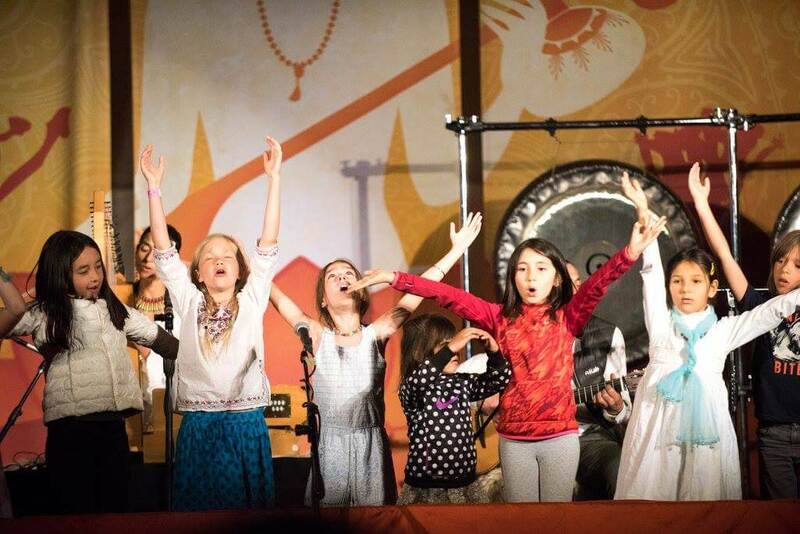 Sat Nam Fest children’s programs are designed to awaken each child’s radiance and bring that radiance into everyone’s awareness. This festival is committed to revealing the ways each child plays a vital role in the universe. 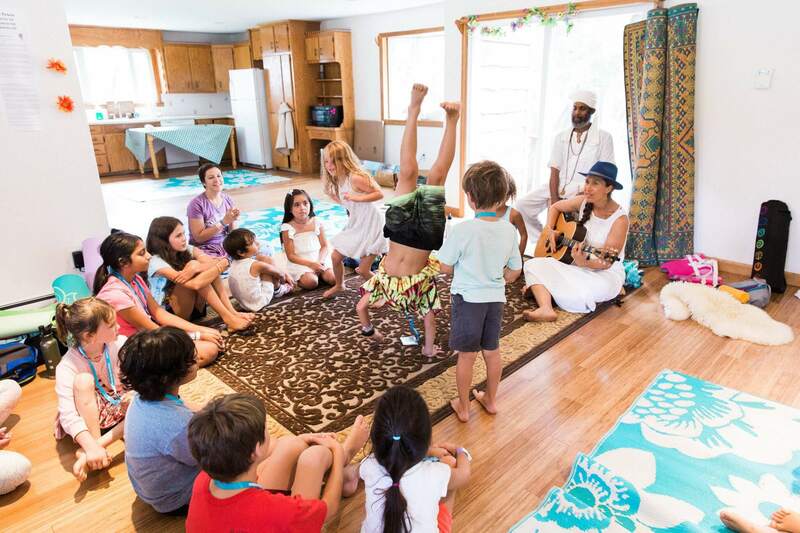 Of course, at Children’s Camp, the children enjoy plenty of yoga and meditation suitable for their needs. Sat Nam Fest children’s programs emphasize the ways each child is a star being who brings gifts to the universe just by being themselves. The experience shows them ways to enhance their star being-ness by willfully engaging in yoga, meditation, healthy eating, conscious interactive games, purposeful chanting, singing, and even performing. Children at Sat Nam Fest can experience awesome growth in just a few days. There is active learning and play amidst the sacred sound current that can transport their consciousness. Sharing meals, they will observe the ways people smile and glow sitting together, breaking bread, and eating healthy food. Children know they are so safe here. 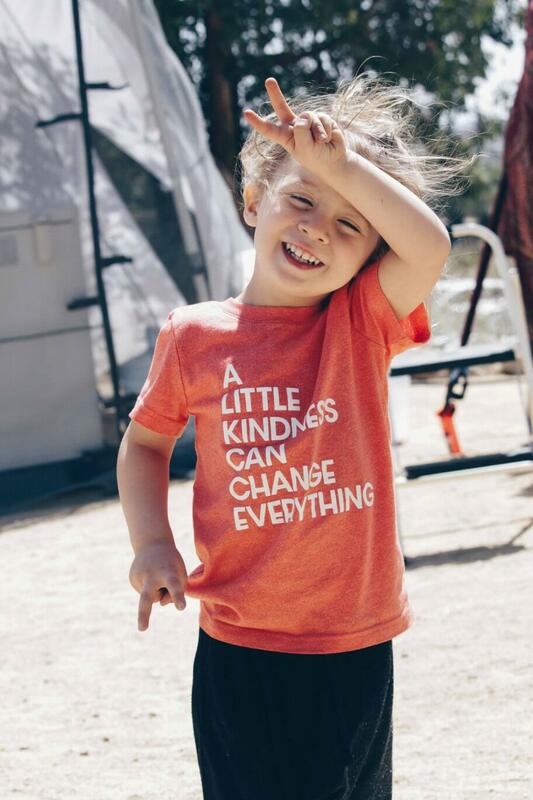 For any yogi, no matter what age, maintaining natural, child-like joy and embodying a child-like sense of humor, fun, and energy are an important part of any yogi’s awakening process. To start a yoga or meditation practice at a young age helps to sustain child-like joy into adulthood. Children may not always seem to be listening to their grown-ups, but they are always observing everything. If they see grown-ups relaxed and playful, imagine the possibilities for relaxation and play in children! Children’s programs at Sat Nam Fest fill up every year, so join us today!